i am in the fortunate position of receiving a fairly regular stream of press releases about a wide variety of cycle related products and happenings. on the whole, i'd prefer not to reiterate them word for word - i can always ask someone questions about what i'm sent, or relate it to something else and... well, you get my drift. however, dani dance sent me a press release about the first annual single speed cyclocross championships taking place in november in portland, oregon. his words are much funnier and to the point than mine would be, so i'm breaking my own rule - read on...(only the capital letters have been changed to protect the innocent). singlespeedcyclocrossworldchampionships. saturday: eleven/eleven/ohseven. sunday: eleven/twelve/ohseven, portland oregon will play host to the inaugural world championship event of single speed cyclocross. the portland single speed collective (pssc) dutifully presents the official unofficial world championship event for single speed cyclocross racers. held in tandem with a cyclocross crusade race (www.crosscrusade.com), the sscxwc is a two-day event including a time trial qualifier on saturday and the grand boucle on sunday. festivities to follow each day. saturday 11 november 2007: single speed cyclocross time trial. perhaps the only tt with intermediate time bonuses, creative racers will benefit using their skills in sketchy aero bar descending, saddle-less riding, saddle-less aero bar riding, silly steep climbing, bunny-hopping a six-pack barrier or bunny-hopping with a six-pack, derby and others. sunday 12 november 2007: the big day. the championships will be a one hour cross race in the notorious estacada timber bowl. mud guaranteed, rain highly likely, more spectators than a belgian cross race and almost as much beer. laps will roll through the beer garden and crowds will be heckling. only one man and one woman will leave as the single speed cyclocross world champion. prizes: vanilla bicycles has signed on as a major sponsor. Expect a custom built vanilla for the winner as well as a custom world champion stripe speedo and a custom designed tattoo. the cross crusade is the largest cyclocross series in the nation, often drawing over 700 racers. the courses are world class, the organization is superb and the cross energy of Portland is second to none. now i can appreciate that portland is quite a long way from britainshire, but there may just be some of you with a lifelong dream to scurry about in american mud on a one-speed cyclocross bike (i can think of one person already), so i would suggest that you check www.sscxwc.com. there's not much there at the moment, but online registration is promised soon. if you need to know what you need to know now, try e-mailing dani at top of page. so where's the problem? cycle jerseys have at least three pockets, and you can stuff lots of things in there: pump, spare tube, munchy bits, waterproof jacket, pair of trainers, camera, sunglasses, laptop. well, ok the first four items can probably be carried in pockets with relative ease, but the other stuff? well there are times in every cyclist's day when it's necessary to carry more than rather than less, and rear pockets simply will not suffice. and this is something i, and many others, have been waiting for, for almost two years - rapha's fixed backpack and believe me, it's been well worth the wait. the central back panel has a waterproof vertical zip allowing access to an internal pocket the entire width and height of the backpack. it's made from black tough waterproof cordura throughout, with two externally accessible pockets, one each side which can be opened and closed even when the backpack is being worn. all the external zips have plastic/rubber tags bearing the rapha logo to aid opening and closing. the attention to detail is amazing. a double waterproofed zip runs from one side to t'other which allows the pack to be opened like a pair of jaws. inside is a tricot lined, pink zipped pocket for a pair of sunglasses just above a second pink zipped pocket. on the opposite side is a padded laptop pocket into which my 15" macbook pro fitted very smoothly, held in place by a velcro strap. behind this is an elasticated pocket capable of holding the latest copy of rouleur or even a camelback bladder. cleverly there is a little flap at the top to allow the liquid tube to exit. this flap would also allow the headphones from an ipod to exit (there is an eyletted hole atop one of the externally accessible pockets, where the phones can be plugged into the very same ipod, should you wish to listen while cycling - not an action i'd recommend, you understand). externally, there are large foam squares down each side of the back to lift the pack off your jersey, improving airflow and preventing 'sweaty back syndrome'. the whole item is very well constructed throughout. in use, you'd almost be forgiven for forgetting you had it on (depending on what you're carrying). i have owned a karrimor cycle rucksack for years that always got in the way of my helmet when in a normal road bike position. 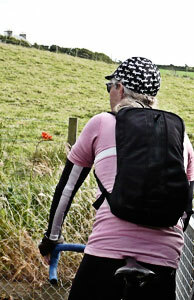 the rapha fixed backpack solves this completely - cycling 35km to port charlotte, the outward trip into a strong islay headwind, even in the drops, the helmet didn't foul the top of the pack once. and not having a waist strap made no difference to the stability of the pack, even when standing up to climb those short, sharp bumps. it stays firmy put no matter what, with no lateral movement discernible. so it's made by rapha, and therefore must be frighteningly expensive. well, no, not really. at £85 ($145) i think this is a real snip. the only problem might be actually getting hold of one. the initial delivery consisted of 100 units, which may mean that by the time you read this, there are precious few left in stock. however, there will be more - nab one while the going's good. the guys and new recruit in sales, fleur, can never be accused of not being enthusiastic about their work. aside from producing some of the finest cycle clothing on the market, they're not slow when it comes to those added extras. last year we had roller racing, last month they gave us racing at smithfield and now we are invited to partake of a day's track racing at herne hill on sunday 19th august. now, if we bear in mind that i have failed miserably in my attempts to ride a fixed wheel, it doesn't stop that persistent desire to have a go on the track, and i'm sure there are many out there with just the same pipedream. unfortunately, the location of washingmachinepost towers rather mitigates against a quick trip to the hill over a weekend, but that shouldn't stop those of you of closer proximity. the cost is a very reasonable £25 including the use of facilities and a picnic lunch with a glass of wine. the track will be exclusive to rapha customers and families on the day and there will be instruction from expert british cycling coaches, followed by informal racing. track bikes are available on loan from herne hill, and guy from rouleur should be there with track riders from rapha condor. if, like many, you are a rapha devotee and fancy a spot of track riding, pop over to rapha track day and book yourselfthe opportunity to go round in circles. it has just dawned on me this morning what's going on at the tour de france, and we, suckers that we are, have fallen for it, hook, line and sinker. it's become one of those reality shows, with actors and stuntmen rather than the cyclists we have come to expect. 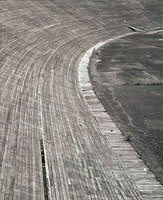 look at it this way - we've had the spring classics, the giro, dauphine etc., and all has gone reasonably well. but the minute we hit the tour de france, certain machinations come into play. for example: if you wrote a book/script about a favourite for the tour, who happens to be russian, who has a bit of a naff accident in the early stages leading to stitches and bandages on his knees, then, in the first time trial, despite his duff knees, blitzes the opposition, before testing positive for blood doping - not only cheating but cheating that is relatively easily detected which he knew he'd be tested for by virtue of winning the stage, you'd be laughed out of the writers' guild. now do you see what i'm getting at? it's so implausible that any book editor worth their salt would have rejected it on the first draft - but because it's the tour, and it's on tv we've fallen into their trap of believing the whole thing. i don't even think there's such a country as kazakhstan in the first place. but just in case we're starting to disbelieve, the seeds of doubt have been sown over the tour leader, none of which were mentioned before he had the yellow jersey, and probably wouldn't have been had he been content just to go for the polka dots. this makes it look less like it's being made up as we go along, but since rasmussen rather underlined his superiority on the aubisque, another actor says he saw him training in italy when he says he was in mexico, while someone else accuses him of having tried to trick him into smuggling blood doping products into italy years ago. something he's kept quiet about until yellow jersey time. classic storyline scripting (and i thought pirates of the caribbean was convoluted). so now we can play out the last few days of the 2007 tour de france with the actors doing their best to resemble cyclists, and cyclists doing their best to resemble actors. and there's always the operacion puerto to fall back on if it looks as if contador wants more money to play himself in next year's race. by the way, does anyone know what cynicism means? thewashingmachinepost is not prone to commenting on the drug busts that seem to appear whenever a major stage race is taking place, but it's kind of hard to ignore the current fiasco surrounding the expulsion of alexandre vinokourov. however, it's worth looking at the this in perspective. there are around 189 riders and associated team staff that start the tour de france, and after fifteen stages, we've had one positive for blood doping, two for testosterone, and the controversy surrounding rasmussen's missed tests. but that only makes four riders out of the total, and these guys are at a level that most of us can only dream about (stage 16 was run off at nearly 34kph). which kind of divorces it from the dawdle i had from bowmore to bruichladdich last night. it's great to watch rasmussen, contador, leipheimer et al, fight it out in the pyrenees, but let's not kid ourselves that this has any great bearing on our own cycling pleasures, either of the pedalling kind or the drooling over carbon fibre kind. bike development would doubtless happen more slowly without the pros to go out and hammer the carbon into submission, but since my c40 is way too good for me anyway, i don't really see this as a major problem - and what you don't have you don't necessarily miss. if professional racing stopped tomorrow (or sunday) because the sponsors all got cold feet and spent their money elsewhere, it wouldn't stop us holding the gran fondo d'ardbeg, riding the london-paris or reviewing colnago bikes. because cycling is ruddy brilliant, and forcing yourself up a 14% climb just because you can, is one of the best feelings in the world (or your own equivalent). 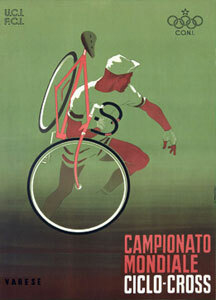 it is also a well known fact that cycling cures all ills. so we can be disappointed that the professionals are stupid enough to dope with products that are easily identified, and perhaps that they are taking us all for fools, but most of us are into cycling because we have our own heroes, our own bikes and our own sense of fun. 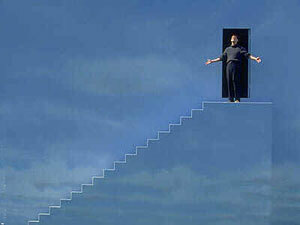 that's that over, because it's very precarious here atop this soap box. one other thing: you've got to feel sorry for bmc bikes - they were bike sponsors for phloyd last year as well as vino this year. i bet they're more pissed off than the rest of us. ...but there are exceptions, in this case because it's mountain biking on another scottish island. a good bit further north than islay, raasay is skye's next door neighbour, and phil hodgkiss has organised the raasay rumble - a ten hour mountain bike enduro race on the 15th and 16th september this year. the rumble can be undertaken by individuals, pairs or teams of three, or there's a guided social ride on the sunday at a more sedate pace for those with an aversion to competition. if this is the sort of thing that floats your boat, pop over to raasayrumble.com and register online. for those who are geographically challenged (my hand is up) the map to your right will hopefully make everything clear(er). 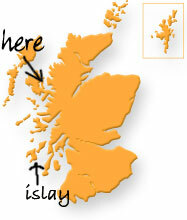 (clue:it's not the one marked islay). and if you're swithering, the post race party is sponsored by skye brewery. 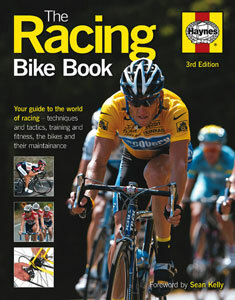 the racing bike book - a haynes manual (3rd edition) £17.99 hardback 176pp illus. it has occurred to me from time to time, that there may be people who read thewashingmachinepost and haven't got a scooby what it's all about (i know, i know - i'm setting myself up for a fall here), but rather than feel sorry for them, we should be encouraging in our encouragement. i have occasionally thought that it might be an idea to start a section devoted to beginners in the art of figuring out what cycling is all about, but time is not on my side for such, and it is therefore with some relief that i received a copy of the racing bike book from haynes publsihing. haynes are a lot more well known for their car repair manuals, and it did seem a mite incongruous to read, in the back cover blurb, that this is brought to you by haynes, a leading authority on bikes and bike maintenance. in all my years of riding, fixing and writing about cycling, haynes is not the name that would have sprung to mind if someone had asked me who was a leading authority on the subject. and just to compound the felony, if you check out their website, cycling is hidden under the home and leisure section which rather undermines their expert stance. however, all that aside, is this a good book? well, yes and no - it would be very unrealistic to expect one book to cover all the bases in depth, and to be fair, i don't really think this volume is trying to do so, even though it all but succeeds in certain areas. the early chapters explain the various road disciplines including track and cyclocross, before drifting on to specific disciplines required by the wannabe road racer: climbing, sprinting, time-trial, descending etc. most of these are well, if not always aptly, illustrated, but i find it a bit suspicious that each subject takes exactly two pages to cover. how can that be? where this book really scores, and is almost worth the price of admission alone, is in the fitness section. this features cycle specific fitness, nutrition, eating for competition, before moving on to a personal training programme. one of the authors is the highly respected coach, joe beer, who once coached graeme obree, and currently writes for cycling plus, so it should perhaps be no surprise that this is covered in such expert detail. if you're going to buy this book for one reason, this ought to be it. where i think it fails a bit is in the maintenance section, which opens with a photograph of a bloke wearing a denim shirt tucked into a pair of beige chinos and a pair of patent leather shoes standing behind a bike on a workstand. hands up all those who dress like that to fix their bike? and while this is the third edition of the book (i missed the first two completely) and obviously updated in places (a photo of a tinkoff rider), it seems to have been inexplicably ignored in others. explaining bike construction, there are still photos of threaded forks (try buying a pair of those nowadays) and a large portion explaining lugged steel frames - i know ernesto still builds these (master x-lite), but you won't find too many folks racing on those, and it's not the first thing you'll see when you wander into your local branch of evans cycles. 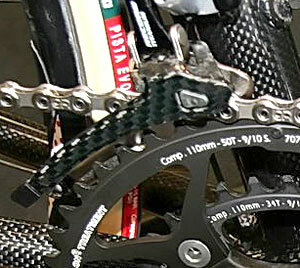 and when we move on to the maintenance section, while there is a photo of the current dura-ace chainset, there is no mention at all of external bearing bottom brackets, even though both shimano and campagnolo have ditched the square taper bb, and even splined/isis versions are starting to become thin on the ground. if you're going to do your own maintenance on your bike, buy something else (like park tools' big blue book of bicycle repair). however, the most bizarre part of this 'updated' book, is a photo of a giro helmet belonging to the carrera jeans/tassoni team (and how long ago was that? can anyone say chiappucci?). and i quote "this helmet with its carrera team stickers may look flashy, but any such decoration invalidates the guarantee..." huh? - you honestly think that the carrera team, or any other for that matter, are worried about the warranty on a helmet? (i'm not entirely sure that that statement is true, so i've asked giro to confirm). the latter indescretions apart, this is actually a rather good book. i'm not sure that £17.99 is a price i'd be willing to pay - maybe around £12.99 would be more realistic, but if you've delved into the occasional episode of thewashingmachinepost, and come away with a quizzical look on your face, then this could well be the entry ticket you're looking for. darned clever those guys at prendas - in fact so clever that it borders on the spooky. if you watched the alpine stage on tuesday from the tour de france, you will have seen the young colombian from team barloworld, mauricio soler, emulate several of his countrymen from the eighties in their ability to cheat gravity on roads with a vertical proclivity. the first time that a colombian has achieved a stage win since then. now for those of you not in the know, barloworld are a continental pro team who received a wildcard entry to this year's tour, and were not, by all accounts, expected to set the tour alight. so the fact that one of their riders has won a stage is great cause for celebration for them, and effectively justifies aso's decision to include them in the tour. so why is all this spooky? 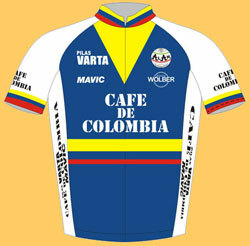 well, in advance of this happening, mick and andy have announced their newest retro jersey, and (i know you saw this coming) it is that of cafe de colombia, as worn by luis herrera and fabio parra whose exploits in the tours of the eighties led colombian radio commentators to 'over egg the pudding' so to speak. these jerseys will be available by the end of august, in sizes ranging from xs to 6xl for a very reasonable £39.95. pre-ordering can be had at prendas.co.uk even as we speak. apparently the only 'object' that reaches a higher rate is the evil weed. so if you agree with the post that this rather flies in the face of the government's current 'global warming, emissions reduction' spiel, take a pop over to the government's petition website and cast your vote for zero bicycle duty. make sure they don't put our money where their mouth is. we've all had those strange creaking noises that emanate from an unspecified part of the bicycle, noises that can only be reproduced when in motion - putting it on the workstand and spinning the cranks, elicits nothing but the expected chain sounds. since this one's even more boring than anything previously heard (i would say that, wouldn't i) this should help you get to sleep tonight. after re-fitting saddle, pedals and chainrings to the company colnago, post london-paris, cranking it uphill resulted in a creaking noise, apparently emanating from the bottom bracket area (which is where every undefined noise always comes from). thinking it may just be loose cranks, i tightened them, and did the same to the pedals at the same time - naturally this failed to cure the noise. thinking it may be the carbon chainrings, i replaced them with the original alloy rings - failure number two. after the weekend ride, the chainset and record bottom bracket were completely removed, regreased and re-fitted - nope, no change. but now that i've discovered what the problem is, we can all have a good laugh. if you've ever bought a new bike with a shimano front gear mech, you may have noticed the little orange sticker pointing out that the bottom of the sideplate ought to be 2mm clear of the ring teeth. mine wasn't. in fact it may have been nearer two microns. therefore when cranking it uphill, the slight movement in the bottom bracket area, moved the teeth enough to rub on the underside of the plate. maybe there's sense in ultra-torque and oversized bottom bracket lugs after all. or maybe if everything was adjusted properly in the first place we wouldn't be having this conversation. it's 1983, there's no such thing as indexed gears, there's still cables exiting the top of the brake levers on some bikes, they're all lugged steel and the derailleurs tend to drop vertically from the rear dropout. and if anyone's wearing a helmet, its the old leather 'hairnet' and almost every rider wears a casquette (which i've just discovered is the correct name for one of those cotton caps so beloved of rapha and prendas). 23 days in july concerns the yellow jersey aspirations of aussie, phil anderson in that year's tour de france, the year before team-mate robert millar won the king of the mountains, and two years before granada tv made the high life. makes you wonder what it was about the peugeot team that made them so amenable to blokes with cameras. anderson was peugeot's designated team leader for the 1983 tour de france, and the movie begins with phil off for a training ride in belgium with mudguards on his training bike - can't quite see valverde or vino in mudguards somehow. 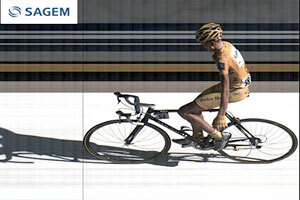 phil's team leader status was cruelly usurped by pascal simon who seemingly ignored protocol and left phil standing going on to finish behind millar on the stage, and take over the yellow jersey. if phil used any bad words, we didn't get to hear them. 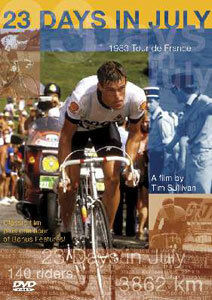 if, like me, this is before your time, it's worth getting hold of this dvd to find out what happened. both phil ligget and john wilcockson feature frequently in the interview stakes and the footage (which is excellent) underlines the incredible difference between the tour in 1983 and what we are currently watching in 2007 - and the tour was considered huge back then. some of the music verges on the twee (synthesisers), but was probably immensely contemporary at the time (did anyone else realise that kraftwerk's tour de france single was released in this year? me neither). rounding out the minutes on the dvd is a phil ligget interview with phil anderson which would probably be better watched before the main movie to put all in context, and bizarrely, but rather wonderfully, there is tv footage of gerrie knetemann's amstel gold win in the freezing rain in 1985. the commentary is by ligget, but after about five minutes he says something like 'back to you in the studio' which we don't get to hear, so there are large gaps with no commentary and brief periods of phil conversing with someone we cannot hear. adds a certain frisson to the entertainment. there's also a fine photo montage. this is a wonderful movie to watch during a tour taking place twenty four years later, and will lose nothing if you watch when this year's is all over. however, if you're really quick, you could order a copy before next week's rest day and watch it then, staving off eurosplot withdrawal symptoms in the process. not quite but definitely nearly. those of you who have been watching eurosplot's coverage of the tour de france, can't fail to have noticed the truly excellent advert for skoda: several cyclists make their way slowly over the top of a climb, cheered on by spectators at the side of the road, followed a few metres behind by four blokes carrying a frame bearing team bikes and one slightly overweight chap carrying spare wheels. the punchline? - 'skoda - the tour de france wouldn't be the same without us.' utter genius. and the best that any of the cycle companies can manage is a specialized ad showing paulo bettini hairing through the streets of a small italian village in his world championship bands, and a commentary in italian. not sure what that tells us about specialized bikes, but it does make you pay attention (sort of). strangely, despite the fact that you can generally find the most obscure stuff on youtube, i could find no trace of the skoda advert anywhere on the web, even after trawling all the skoda sites i could find. that's why there's no accompanying illustration for this post. if you don't have eurosplot, my apologies because it probably doesn't sound half as clever as it looks. it seems like it'll be a long wait before we see creativity on this level from any of the cycle companies - more's the pity. many a civilian thinks of food as, well..., food. something to stuff your face with three times a day and probably several times a night while watching drivel on the telly. doesn't matter too much what it is, as long as it fills that empty space that has appeared since the last time face shovelling was partaken of. however, cyclists are not of this civilian mindset (or they certainly shouldn't be) nor are others of an athletic persuasion, something you will rapidly find out if you try cycling 100km per day at speeds above 25kph. muscles and brain have to be fuelled, much like our nemesis, the motor car, so it becomes necessary to think of face stuffing in a more technical manner and all comes down to carbohydrates, fats, protein and liquids, and in what proportions it is necessary to consume in order to continue doing whatever it is you do strenuously. it's all very well for the governments of your respective countries to issue recommended daily amounts, but those apply to civilians of a relatively sedentary nature. and the governments don't have figures for the eccentric percentage of the population. fortunately some folks do have those figures, along with advice on how to relate them to whichever activity being undertaken, (since we're on thewashingmachinepost i shall make the not uneducated guess that cycling is your chosen activity) and happily are willing to publish same. monique ryan has been in the business of advising endurance athletes about food and nutrition for more than twenty years and is the highly respected author of this second edition of 'sports nutrition for endurance athletes'. aside from the ego trip of being able to consider oneself an athlete, this book has been a major boon over the last few months, since it was necessary for me to train for endurance - pedalling up to 200km per day. the added 'difficulty' if it can be considered such, is that i'm a vegetarian, and at the back of my mind has always been the dogmatic advice read in a cycle training manual by the late eddy b, that cyclists need to eat meat. i don't have this need actually, and it's always comforting to read in books such as monique's, nutritional advice for the vegetarian cyclist. that i successfully completed just under 600km in three days, is partial testament to the advice laid out in this book, along with 'base building for cyclists' (another velopress book). certain manuals of this ilk have often become incomprehensible by the time you've read the acknowledgments at the beginning, this one thankfully not so. all is clearly explained in terms that non phds such as myself can relate to and act on - there are numerous tables indicating sources of the three main constituents of food listed above, along with suggested menus, bibliography, recipes and explanatory sidebars where necessary. and as well as how to prepare for energy expenditure, there's highly effective advice on post-training recovery too. it's all written in a non-patronising style over 357 pages, and if like me you intend going for major cycling extravagance within the next year (or sooner) this ought to find a place on your cycling bookshelf sooner rather than later. 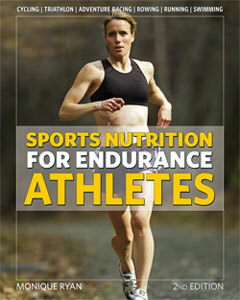 sports nutrition for endurance athletes is available form cordee books in the uk, and direct from velopress in the usa. uk pricing is a phenomenally reasonable £15 and no less so in the usa at $21.95.